So for the past two weeks, I have not buffed my nails nor filed them. I actually let them grow out, which is not a regular thing because I can never stand long nails lol, and eventually I got tired of poking myself and cut them (just filing off the rough edge). During this time, the only thing I had had on my nails was clear polish. Not a special formula for strengthening or anything such, just a cheap one that has actually stayed on the whole 2 weeks. Although a strengthening one would have been good as well, I do not mind and would rather let the nails do their stuff naturally. During this break my nails haven't split and they don't feel weak like they were feeling after I would remove my nail polish. Another thing about nail polish.. some really stain your nails. I remember having this nice bright teal polish, I loved wearing it, but hated taking it off because it left my nails yellow. Not even pretty. I read some where that using a lemon (or just lemon juice) would remove the stain. I never got to try that yet, because I'de be impatient and buff off that layer of my nail (again not good). Have any of you tried lemon juice on your nails? My nail cuticle and nails in general grow relatively fast. It has become a habit of mine. That being said, badly trimmed or bitten cuticles are just as bad or even worse than neglected ones. Infection will get into the spaces beween the cuticle and nail and cause a whole mess of problems. If you're going to trim or push them, do it correctly. I'm not very knowledgeable on trimming cuticles, but I do know you should never push dry cuticles as it causes more damage, than good. So use a hand cream or a cuticle oil/ gel/ cream, what have you and moisten those nails. To make your job easier you can also place your hand in bowl or warm water with some epsom salts, a few drops of Vitamin E and your favourite scented oil for a true spa experience. Then push your cuticles at a 45 degree angle (as one site said). I don't know how well I could manage that angle, but I try my best not to over do it. If you do get hang nails, it's ok to trim those using a cuticle scissors (those are actually pretty scary-looking in my opinion lol) or you could use a clean finger nail clip, like I do. Make sure if you use either of these that they are sanitary and clean the area and tool with alcohol or peroxide. Be sure to choose a good top coat, free of formaldhydes, toluenes, dibutyl phthalate (BHP). Removing the nail polish is the usually beginning step. Some people say acetone remover or nail polish removers with acetone is bad for you. But really I think that all nail polish remover is bad. It smells very strong, feels like it soaks into my nails and for as many times as I wash my hands after, I feel like i'm still eating the residue. (If I had the choice I wouldn't use nail polish remover). On the good side people say acetone removes the nail polish faster. I'm yet to try acetone only remover. I want to see if it lives up to that reputation, and if it is as drying as some say. Finally, create beautiful nails from the inside out. 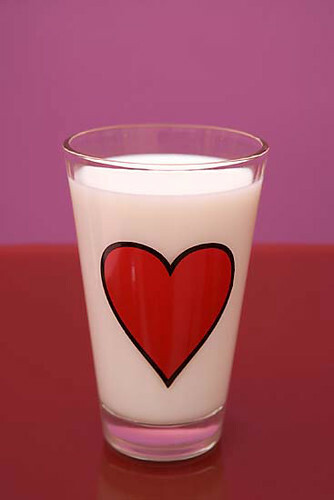 Drink lots of milk (fat -free for some of us worried about weight)! Take your vitamins and supplements! Vitamin E is good for moisture and lubrication, you can even use it directly on the nail. (Castor oil and olive oil are good sources of Vitamin E.) You can also take folic acid and Vitamin C to keep hang nails at bay. Cod liver oil which is full of essential fatty acids such as Omega -3 fatty acids, is good for flakey splitting nails. Finally make sure to take your Iron to avoid thin, brittle, ridged nails. I would say Eat Healthy but to me, healthy is a bit relative these days, hahaha. With that said, Eat and Drink in moderation. Are any of you willing to try these tips? Already follow these? Have more advise on nails? Don't forget to post a comment! Have a great week and enjoy your beautiful nails!